Reflective Safety Vest is an emergency breakdown essential, also suitable for Cyclists, Horse riders, Runners or just walking. Designed to European standard EN1150. The Safety Vest is highly visible by day, reflective by night and has an adjustable velcro fastening. 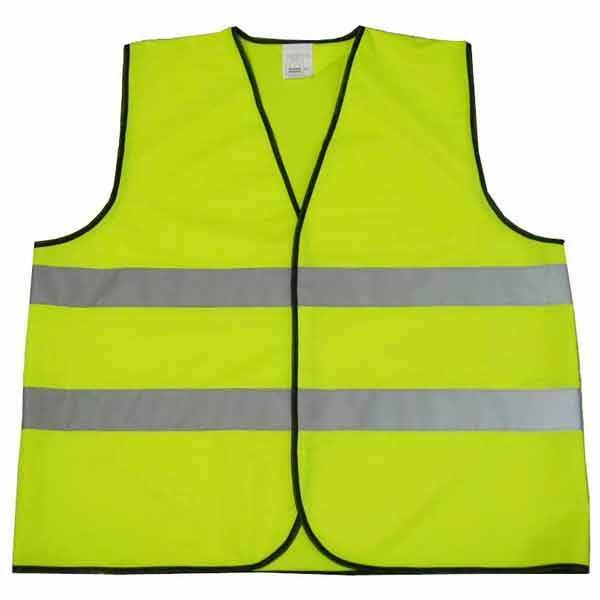 Notice to all Travellers - It is now compulsory to carry a safety vest when driving in most European countries BY LAW.